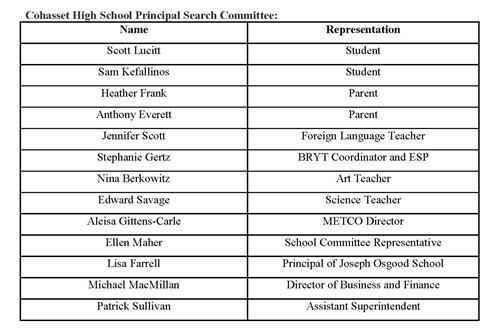 The Middle School and High School Principal Search Committees have been announced. For more infomation about the Middle School Principal Search Committee, and the search process, click here. For more infomation about the High School Principal Search Committee, and the search process, click here.